The products listed here are either very popular or new offerings that you might not be aware of unless you searched the entire site. The FD Idler Kit is CNC machined and is truly bolt on. We include all necessary stainless steel hardware. We have a choice of belts to best match your application. 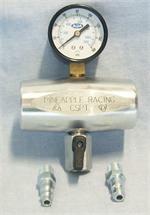 Oil Galley Plug kit includes 2 large and 1 small replacement oil galley plugs. Replacement pin set(2) for all 84-91 6 port sleeves. The ultra hard pins were CNC machined from hardened A2 steel and then nickel plated for exceptional life. The pins come 2 to a set. Our Oil Pedestal Adapter allows easy access to the oiling system for external oil lines, oil pressure or temperature. The Adapter has 2, 1/4" NPT threaded holes and 1, 1/8"NPT threaded hole. Installation kit included. 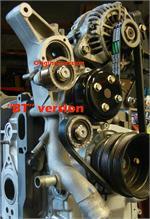 A Big Turbo (aka "BT") version of our FD Idler Kit is CNC machined and is truly bolt on. We include all necessary stainless steel hardware. You have a choice of belts to best match your application.